"For some, it's out of sight, out of mind." Test your puppy's cognitive development. Place Roxy's favorite, unscented toy under an upturned container, preferably one she can't see through. If she tries to move or tip the container to get the toy, then like most dogs she understands object permanence on at least a basic level. In the developmental stages of cognitive abilities everyone makes mistakes. Individuals learn from their mistakes, hopefully, so as not to make them again, as well as to better understand the rules of the game, so to speak. A team of Hungarian researchers, lead by József Topál, compared the errors of human children, dogs and wolves during object permanence tests. The differences and similarities were telling. The children and dogs similarly and consistently accepted verbal and gestural cues from the researchers when searching for the hidden objects, whereas wolves did not. Topál theorizes that the dogs' "shared sensitivity to human communicative signals stems from convergent social evolution," a sensitivity not shared by wolves. However, dogs demonstrated substantially greater accuracy in finding hidden objects without human cues. Though dogs have a demonstrated ability for object permanence, this ability is not as developed as it is in humans, primates, crows and magpies. In fact, crows test at a near human capacity for object permanence, outstripping other animals by far. Yet dogs still rank high, higher even than cats. A 2009 study of dogs at the University of Kentucky, headed by Dr. Holly Miller, used a simple test, based on the work of Jean Piaget, a 20th century pioneer of developmental psychology. Dr. Miller observed that three things prevented dogs from finding hidden objects where multiple, identical occluders were used: If the time delay between hiding the object and being permitted to find it was too great, the position of the correct occluder was radically different and, again, the interference of human social cues. Otherwise, dogs showed at least basic object permanence abilities. Some dogs, however, had no difficulty with the test, regardless of the delay, positioning or level of social interference, exhibiting what Dr. Miller considered “true object permanence." You might wonder if any of this is important, seeming either dryly academic or common sense. However, object permanence is a valuable skill. First, dogs depend on humans for so much that if this skill is not developed with interactive games and socialization, they often suffer from a learned helplessness, an inability to reason cause and effect when placed in situations where you or others aren't there to help. Object permanence is fundamental to Roxy's development of a mental representation of the world, spatial operations and the formation of her own identity. Without this she will experience heightened confusion, fear, separation anxiety and even aggression in strange situations, such as if she were to get lost or if you needed to board her at a kennel. Second, at the very least, you could ask her to find your car keys when your own cognitive abilities aren't quite up to snuff. Beyond the question of object permanence, these studies suggest two further things: Dogs have evolved a complex intellectual dependence on humans, akin to human children's dependence on adults, also that their capacity to understand object permanence functions best when permitted to reason in their own fashion, akin to their lupine brethren. They have their fuzzy paws planted firmly in both worlds it seems. This tremendous adaptability has made dogs one of the two dominant species on Earth for the past 15,000 years and probably well into the future. 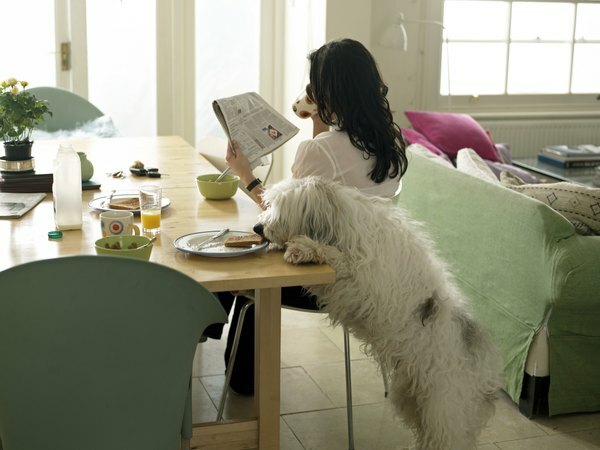 NCBI: What Do Dogs Know About Hidden Objects? Psych Files Podcast: Object Permanence, Does Your Dog Have It? Christopher Lapinel blogs for the Johnson Attorney's Group. He also writes his own blog at bluestonewriter.com. Lapinel holds an MLitt in creative writing from the University of St. Andrews and taught English composition at LaGuardia Community College. When Do Kittens Begin Mating? What Is the Purpose of the Toy Dog Group?